Just when you thought crafting couldn't get any more exciting, Cricut brings you an enhanced version of the Cricut Expression! On the outside it boasts a sleek new look, including a full-color LCD touch screen that makes navigation a breeze. On the inside it's packed with powerful new cutting and sizing features in addition to the ones you may already know and love. To top it off, this version comes preloaded with 2 cartridges and it's compatible with your other Cricut cartridges and Gypsy. 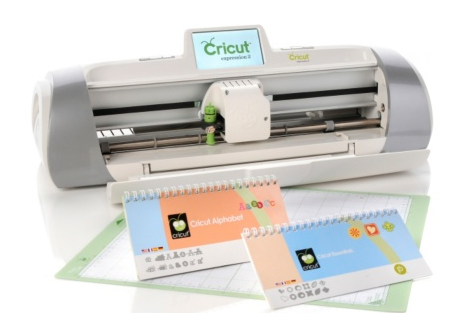 The Cricut Expression 2: created for passionate crafters like you. Two mat size settings: 12" x 12" or 12" x 24"
As I'm sure most mom's do, I HAVE AMASSED A TON OF PICTURES! Up until recently most of them were either trapped on SD cards, or printed and put away in a box. Then recently I was introduced to Scrap booking.......and it's taken my love of photo's and crafting to a whole new level! Though the cost of purchasing die-cuts, and embellishments can be pricey, I've found a multi-use machine that is every scrapbooker/crafters dream! 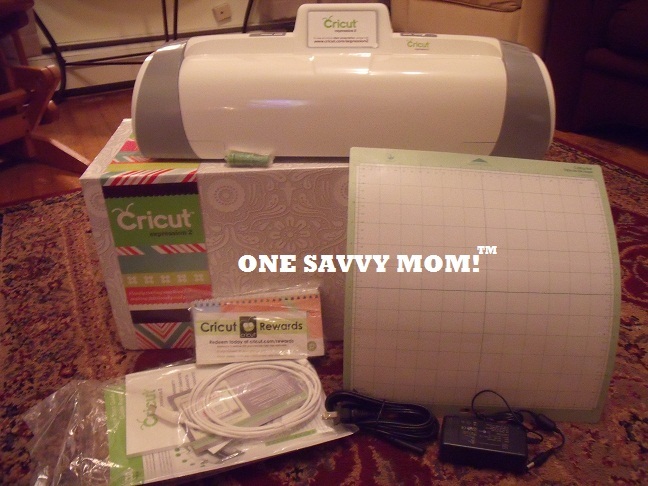 The brand new Cricut Expression 2 from Provo Craft. 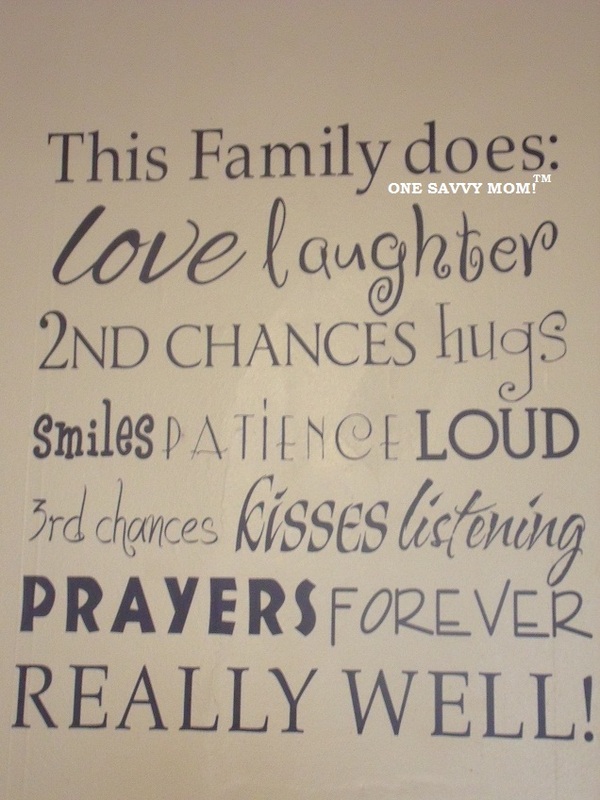 Not only can you make your own die-cuts (which is extremely cost effective over time) , it does SO MUCH MORE! The Cricut Expression 2 comes with two pre-loaded cartridges including the"Alphabet" and "Essentials" (awesome added value! ), so even without the immediate purchase of additional cartridges, it's ready to use right out of the box. The handy touch-screen makes the Expression 2 easy to navigate and very user friendly. I absolutely love that the Expression 2 will optimize the use of my materials! I can pick out several different images ( even if they are varying sizes and shapes) and the machine will lay them out on the mat to optimize the use of space (creating less waste- and ultimately saving you money!). Doing multiple cuts on the same mat is super simple as well! If your creating several of the same item (such as invitations or gift tags) you can pick the image/lettering, and sit back and watch as this incredible machine gets to work! One of my absolute favorite features of the Expression 2 is the ability to cut Vinyl! If you have been a long time reader, then you are already aware of my affinity for Vinyl Wall Art. It can add the perfect touch to home decor, makes great gifts, and is the perfect addition to a variety of craft projects. Vinyl Wall art has been a go-to option for both of our kid's rooms, as I can personalize their space and change it up easily when their interests change. All to often, we would get a favorite character or theme set in the kid's rooms and then they would decide a month (or mere days) later that they were in love with something new.....leaving us to undo everything! Because Vinyl Wall Art can be so easily removed without damaging the walls (it peels off simply and quickly), tt's simply the very best choice when it comes to decorating children's rooms! I picked up a couple of the above pictured rolls of adhesive backed vinyl by Cricut at my local craft store (priced very fairly at 9.99 a roll). 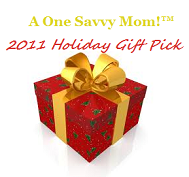 They were available in a variety of colors, making it easy to match decor / project needs. By simply picking the desired images / letters that you wish to cut on your Expression 2, you can create custom vinyl in a matter of just a few minutes! 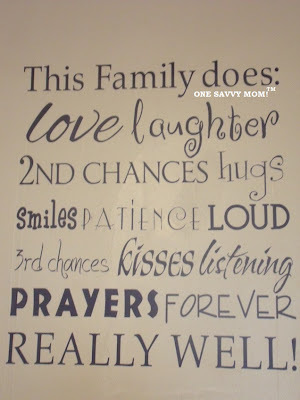 Whether you choose to create quotes or statement wall art for a family or living room like I have (pictured above), personalize a child's room, create some wonderful scrapbooks, or gifts.......with the Expression 2 by Cricut the possibilities are endless. So go ahead, stretch your creative wings, this machine is totally up for the challenge! 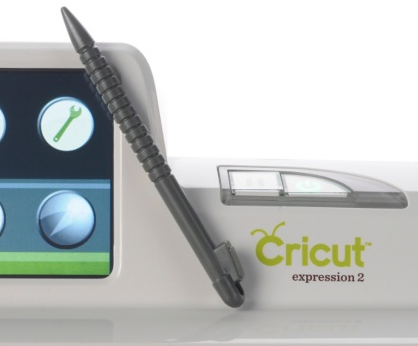 You can find the Cricut Expression 2 at select retailers and online at http://www.hsn.com/ . 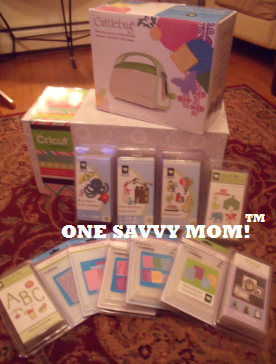 To learn more about the Cricut Expression 2 by Provo Craft visit http://www.provocraft.com/ . Disclosure: A Product Sample(s) was provided for review purposes. The opinions I have expressed in this post are my own, and may differ from others. I am disclosing this in accordance with the Federal Trade Commission’s 16 CFR, Part 255. Click HERE to read our full Disclosure/Policy. I've been eyeing one of these for a while. I can only imagine what our family would create with all the options available. great video , i have this machine and love it. I have one now too...just haven't had the chance to put it to the test...but recently I heard it was wifi compatiable...is this true? Or did they trick me into buying mine on HSN...I purchased the so called exclusive anniversary edition of the expression 2...wish someone would just tell me if I was fooled again..
Love your Video!!! Lucky Lady!!!! I have been wanting to buy one just need to save some money!!! I love my E2. I love all that it can do so much that I went and got an Imagine, too. 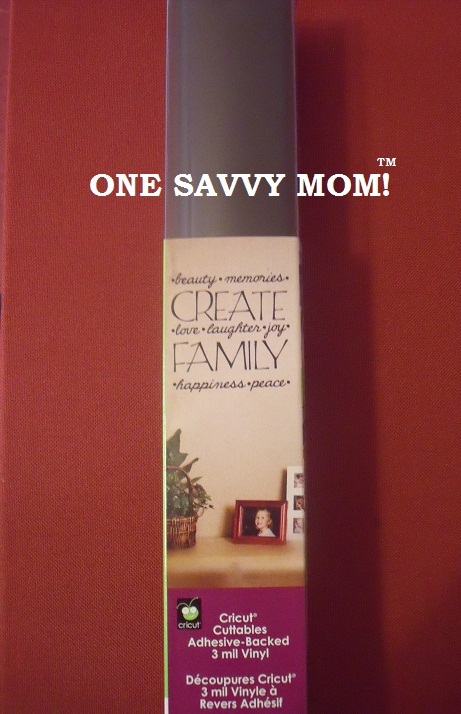 I love that I can make personalized gifts easily for my family in minutes. The smile on their faces says it all for me. I have an Expression but would love to update it to the E2. LOVE LOVE LOVE my E2!! I'm ready to try some vinyl in it. This thing is so wicked. Thanks for the info on this machine. I won one a few weeks ago but have to use it...maybe I am a little scared because I have never used a cricket before. I would give my left arm to get this great prize. wow what a fun toy, would be great to play with this one. I've wanted one of these for awhile now. It has so many creative options, it's unbelievable. I wanted the old one but now that it does 12x12 I NEED this! That was my main problem before because I like to do scrapbooking in 12x12 books. I never knew something like this existed for retail. I have this on my wish list. I would love to be able to do my own vinyl art as well as to scrapbook all with the same machine. I am amazed at the touchscreen feature. I love that it can cut the thicker papers like cardstock and even chipboard. I also like that it doesn't take up much room. I could really make some neat Christmas crafts with this! I have the regular expression. This one looks so much cooler. Love the LCD screen! oh wow...to think what i could make with this. amazing review!